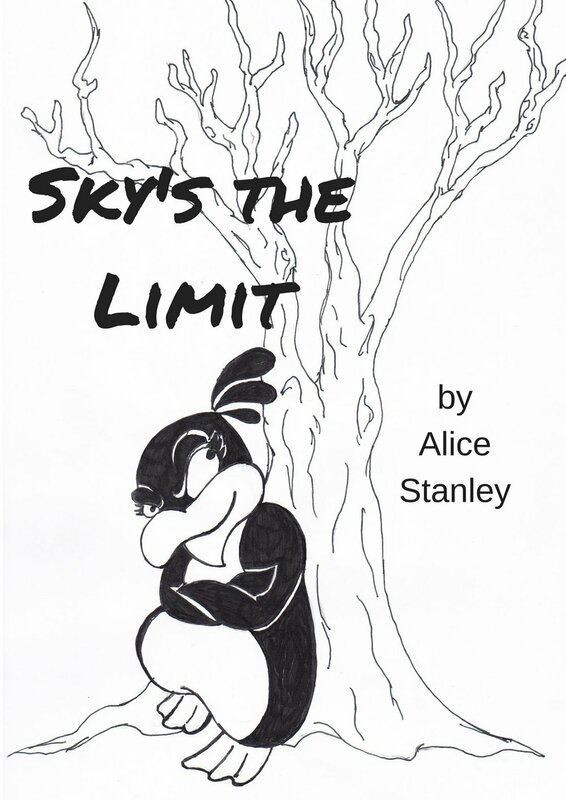 Alice has taken on several playwriting projects with ensembles, and written one-act plays for festivals. Chris Cotterman, Jessica Lynne Byars, Dominic Gladden, Brad Norris, Jonas David Grey, Tegan Williams, Melanie Glickman, Katharine Vary, and Zach Bopst. It's as simple as it sounds - one night, all 72 onstage deaths in Shakespeare's plays. An evening of gore, silliness, and bard appreciation. 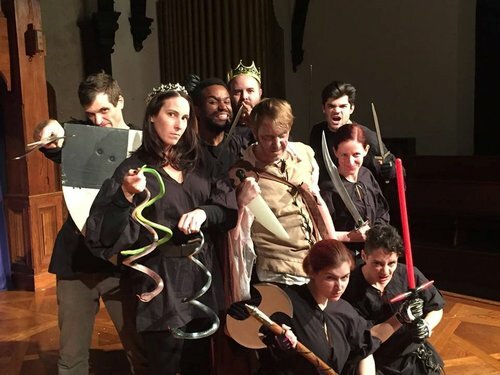 Produced by Cohesion Theatre Company and The Baltimore Shakespeare Factory, Jan. 15-17 & Oct. 38-31, 2016. Directed by Alice Stanley and Tom Delise. "Poignant, masterfully penned, and choreographed with astonishing fight scenes, The Complete Deaths of William Shakespeare will slay you in the aisles." Logan Davidson as Nora and Fred Fletcher-Jackson as Max. This piece centers around Nora, a non-binary person, as they struggle to determine their identity and navigate a world that often rejects the authenticity Nora strives for. In styling the piece as Aphorisms, or a series of passages and thoughts coming together to form a whole, Alice speaks to the often fractured nature of identity and how we as humans go about determining it for ourselves. Produced by Cohesion Theatre Company as part of the Trans Voices Workshop Series. Directed by Caitlin Carbone and Melanie Glickman. April 1-3, 2016. 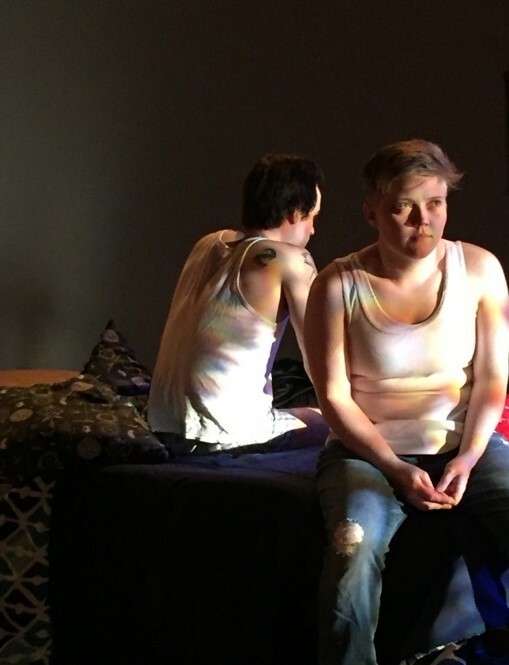 "Kudos to Stanley for bringing these questions to the fore and to Cohesion Theatre Company and Iron Crow Theatre's commitment to new work that is a catalyst for the exchange of ideas and an instigator for social change." 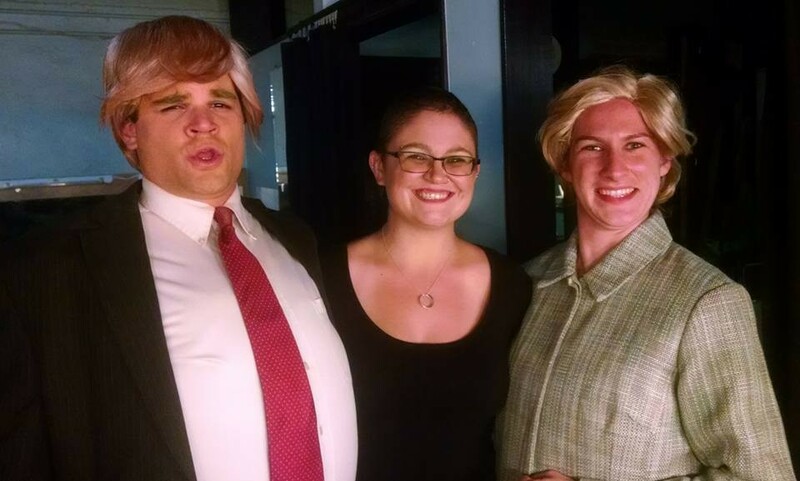 Zach Bopst as Donald Trump, Alice Stanley as Musician, and Caitlin Carbone as Hillary Clinton. Sky, an Enbien (for Non-Binary Knight) and their begrudging penguin accomplice take on the #PrincessChallenge to "rescue" their local princess - who may not need it. Produced by Gadfly Theatre Productions in Minneapolis, MO, June 9-18, 2017. Directed by Cassandra Katy Snow. In the midst of the 2016 election, Cohesion Theatre Company paired with Spotlighters Theater and Baltimore Improv Group to devise The Political Cabaret, an evening of sketches, music, and improv. Alice directed the piece, co-wrote song parodies with Kathleen Brabant Stanley, and led the devising of the sketches. "I wish the members of Congress worked as well together as these artists from different disciplines and backgrounds do; a lot more would get done!"